So I did it. In lieu of an engagement ring, I ordered a keychain off etsy with my handwriting engraved – “I love you, Ryan” is what it says. I didn’t have a specific plan or date I wanted to ask him up until probably a week before I did it. Again, it’s all about what feels right. The funniest part: I wasn’t nervous that whole day – until the moment right before I asked him. As we sat in those stands, my stomach jumped into my throat, my heart was racing, my brain fried. I somehow managed to push that all aside. I don’t know how. 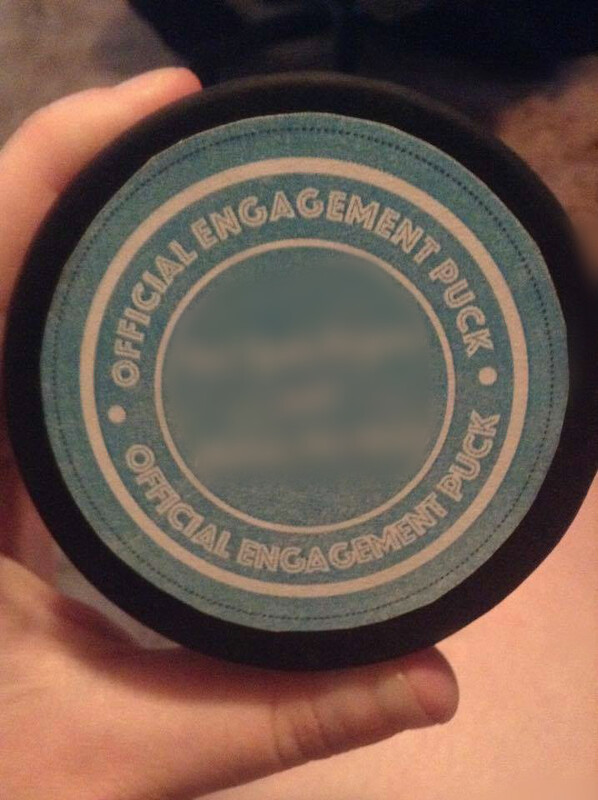 I gave him an “engagement puck” I thought was a nice touch. I can still see the look on his face when I asked him. It didn’t take him more than fifteen seconds to say yes. 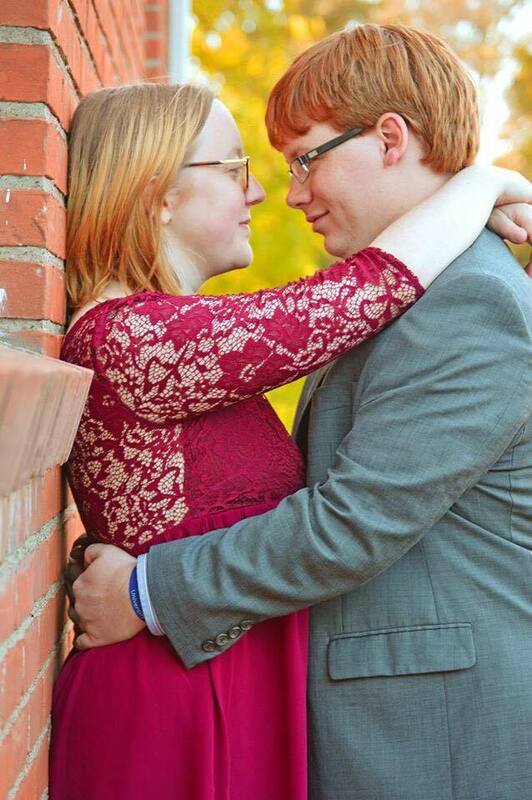 We’ve now been married just over 10 months, and have a lifetime ahead of us. So why am I writing this? I guess for a few reasons. I wanted to share our story. It’s a special one, and I love the reaction I get everytime someone finds out I asked him. But I also wanted to put a little affirmation out there for any woman who’s thinking of asking her boyfriend, to say that YES, women can absolutely do the proposing! And of course, a nice reminder for all of us that every relationship is different and moves at its own pace, and unless you’re one of the people in the relationship, it’s really (quite frankly) none of your business.